Prairies, dry bluffs and hills, sandy roadsides and clearings; very local. 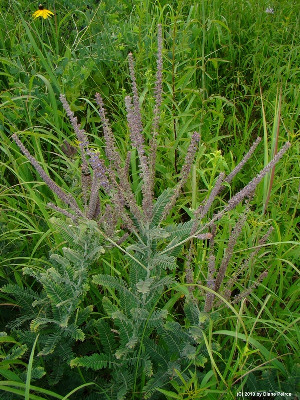 This is a distinctive, small native shrub of prairies. Long popular in cultivation; records from Lenawee and Wayne Cos. are escapes. MICHIGAN FLORA ONLINE. A. A. Reznicek, E. G. Voss, & B. S. Walters. February 2011. University of Michigan. Web. 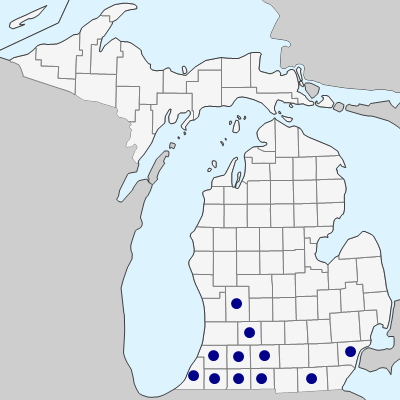 April 18, 2019. https://michiganflora.net/species.aspx?id=1267.